We understand that the settlements issue is one of the most contentious in the Middle East conflict, and that there are indeed many different views on the subject within the pro-Israel community. Nevertheless, given the negative publicity so often given to Israel on this issue (as indeed on many others) it is important to correct the balance and put Israel’s case. We were recently asked to provide a briefing on the issue for one of our local MPs, and we felt it important to share this here. So please see the attached document. Jewish Settlements on the West Bank briefing document. 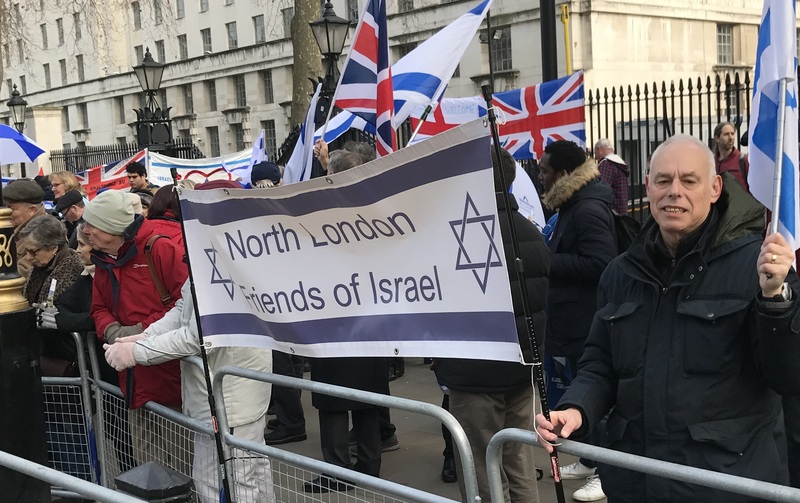 Members of North London Friends of Israel were in Whitehall on Monday along with many other supporters of Israel. Prime Minister Netanyahu was in town to meet Theresa May. The Israel-haters had announced a protest in opposition to the visit. However, we matched their numbers and loudly proclaimed our support for closer ties between the UK and Israel – two great democracies with values and interests in common.